A newly designed ergonomic keyboard and mouse by Goldtouch are not only more comfortable to use because of the way they fit your body but also because they create a more productive work environment. 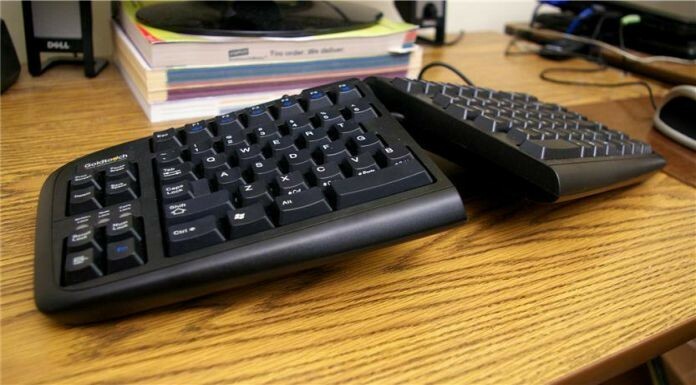 The Adjustable Comfort Keyboard has a locking lever system that allows users to have a perfect fit for them individually. Available is a slim travel style that slips right into your bag or briefcase or a desktop model that will work with any operating system. This keyboard adjusts to properly straighten your wrists, help alleviate pressure on your tendons and align your shoulders and arms in a comfortable and natural position. Two feet on the back of the keyboard allow you to put the keyboard into a sloping angle so that your wrists are in a downward or neutral position instead of being tilted upward. The Ergonomic Computer Mouse is vertical in a handshake position, which relaxes your hand, wrist and arm into a position that lowers pain levels and eliminates forearm twisting. Available in wired, wireless and travel options, the buttons are easily operable. The mouse fits different sizes of hands, and a small lip on the bottom stops the little finger from rubbing on the desk. Five programmable buttons allow different applications on XP Home, XP Pro and Vista 32. Unique special functions for XP Home, XP Pro, Windows 7 and Vista include a Speed Toggle, which can be set to high speed for normal tasks and a slow speed for graphics work, and a Break Reminder with audio and/or visual alerts to remind you to take a much-needed break. Next articleHow to Make Full Use of BlackBerry Spy Software? Is the Quality of Your LCD Display Ruining Sales of the Product?